Perhaps you got so caught up in Oscar mania that you briefly forgot we’re about get a new, live-action version of Disney Dumbo made by Tim Burton. The latest sneak peek lays it on real thick, not only dwelling on our big-eared elephantine hero being taken away from his mother, but throwing in Arcade Fire as well. The Grammy-winning Canadians lend their baroque pop stylings to “Baby Mine,” which, if you remember the 1941 animated original, is the movie’s emotional sucker punch: It’s when Dumbo’s mom cradles him with her trunk while locked in a circus wagon, before he’s dragged off to find his destiny. 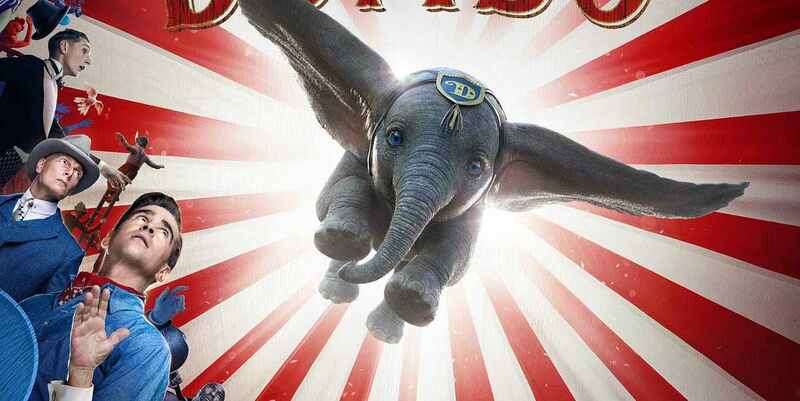 This new version of Dumbo trailer doesn’t appear to feature talking animals; this is a more realistic movie about an elephant that can take flight by flapping its floppy ears. But what Burton’s redux lacks in chattering critters it makes up for with homo sapien actors, like Colin Farrell in nice guy mode, Burton vet Danny DeVito as a made-up ringmaster, and Michael Keaton, basically reprising Beetlejuice as the villainous circus o/wner. This new sneak peek looks to extract a lot of tears in only around 45 seconds, and it definitely succeeds. The innocence in the eyes of Dumbo,is so heartwarming. And hey, at least Arcade Fire didn’t cover the definitely problematic Dumbo song “When I See an Elephant Fly,” which we’ll assume is the first part of the original that was chucked when Disney decided on this remake. Michael Keaton as V. A. Vandevere, a ruthless and enigmatic entrepreneur who acquires a circus to exploit the titular elephant. Danny DeVito as Max Medici, the ringmaster and owner of a small, struggling circus that gets acquired by V. A. Vandevere. Nico Parker as Milly Farrier, Holt’s daughter. Finley Hobbins as Joe Farrier, Holt’s son. Dumbo is set to be released in 2D and 3D by Walt Disney Studios Motion Pictures on March 29, 2019.